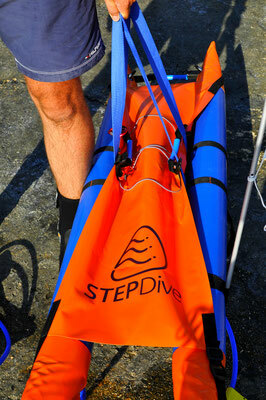 STEPDive is easy to set up and fully adjustable for any size person. 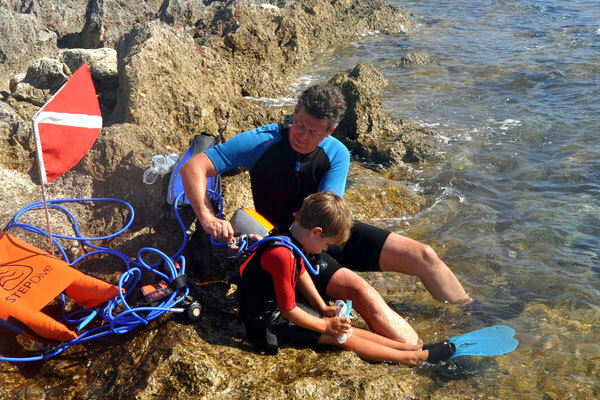 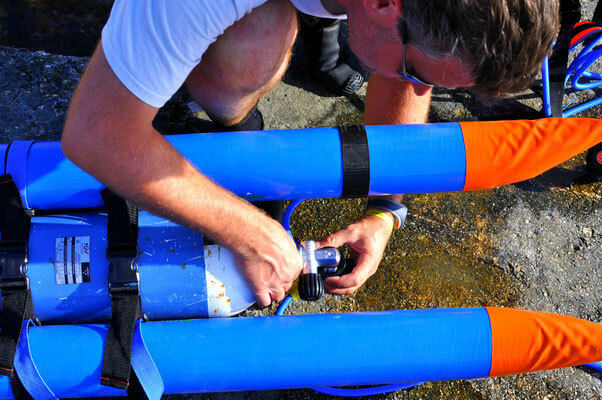 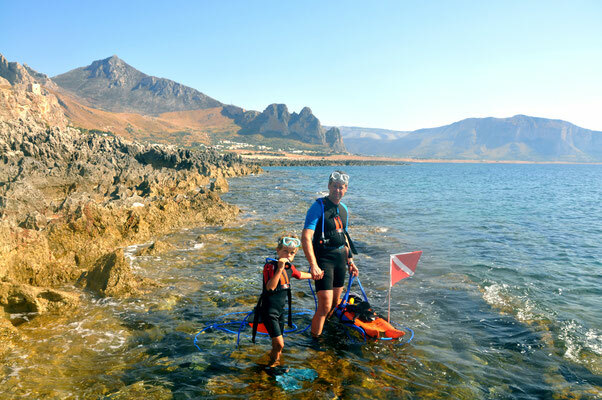 The full system is light weight and compact when deflated, making it easy to carry to the dive site. 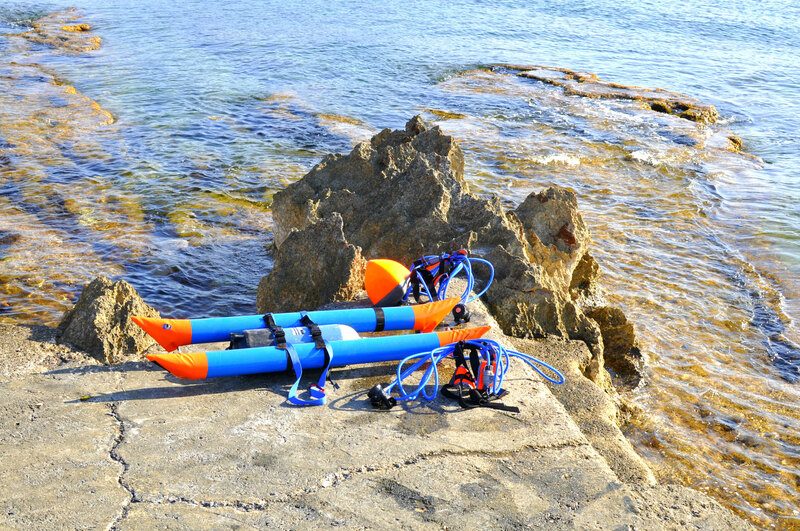 The SCUBA tank fits in between the 2 inflated high strength pontoons, making a very easy gliding, stable catamaran raft. 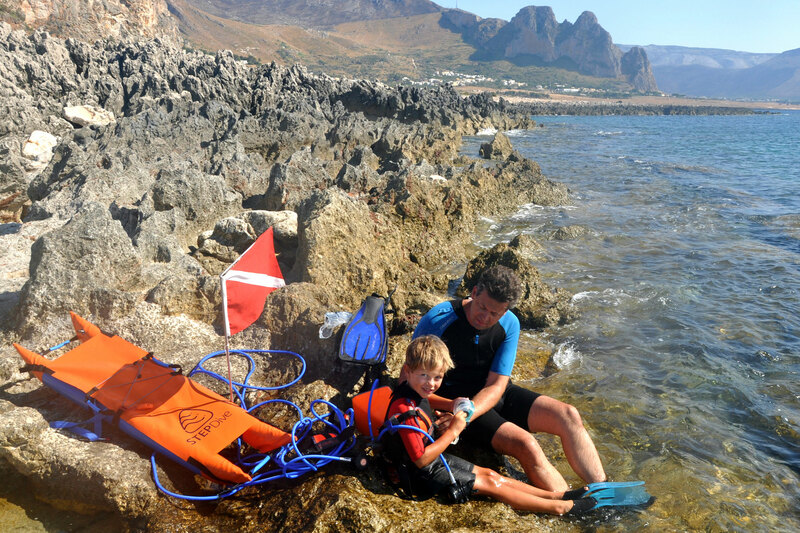 Once fully inflated and assembled, the full system for 2 or 3 is still easy to carry with just one hand thanks to the slender long design & the carrying straps. The harness is specially designed with 3 separate adjustment points to ensure a comfortable & well positioned fit for any size person. 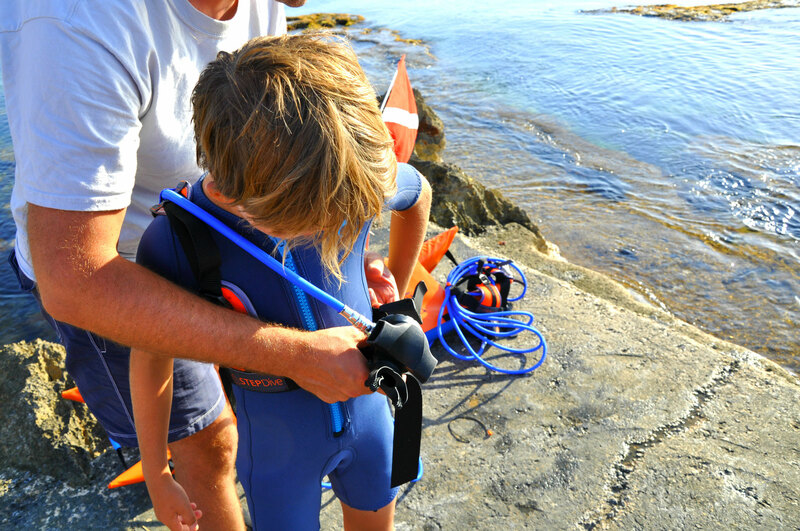 Unique in the dive industry, the span of regulator hose over the shoulder is also fully adjustable, ensuring a proper fit for any age diver. 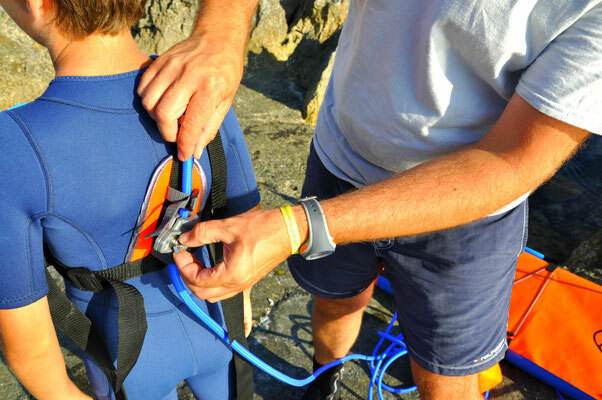 Simply adjust the right length from one diver to the next with the clamp on the back. The same clamp technology is used to position and secure the depth limit buoy to the appropriate depth for the age and experience of the diver.